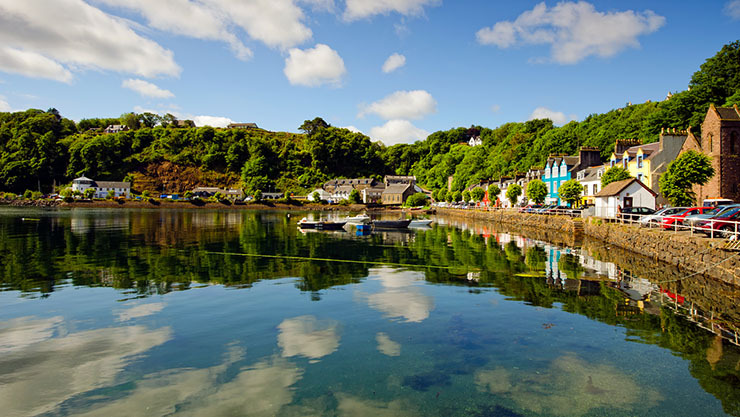 Just what can we tell you about the Isle of Mull… this is the island where it all started. 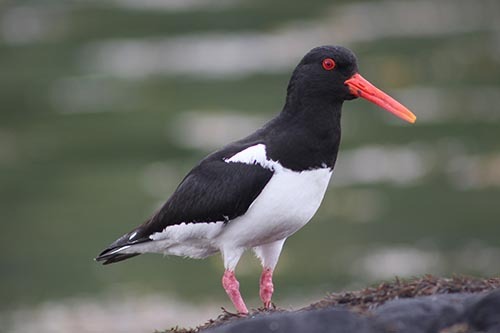 Our very first course was run here way back in 2007 and to date we have now run 25 courses on the island and its surrounding smaller Isles, and we can honestly say, long will it remain to be one of the jewels in the wildlife calendar of the United Kingdom. The whole island is such an amazing place that we think you could run a wildlife film school here and never leave the island. From the coral beaches, to the vast shingle mud flats in the sea lochs, from the sea lochs themselves to the range of mountains in the center of the island, and from the major diversities between the north of the island and the Ross of Mull in the south, anyone visiting here will never be short of locations in which to film. Spending 8 weeks filming here will be a truly fantastic experience. 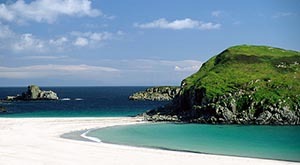 The Isle of Mull is the second largest island of the Inner Hebrides, after Skye, lying off the west coast of Scotland. Mull is also the fourth largest Scottish island and the fourth largest island surrounding Great Britain. Mull has a coastline of approximately 300 miles that is made up on many coves and inlets but mainly 4 large peninsulas which are predominantly moorland, radiate from the center and sea lochs. Mull has a mountainous core, the highest peak being Ben More, which reaches over 900 meters. 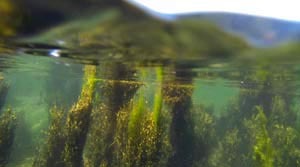 The waters around Mull are affected by the Gulf Stream, which in turn brings coral sands with it making some of Mulls many beaches, so of the best in the world. 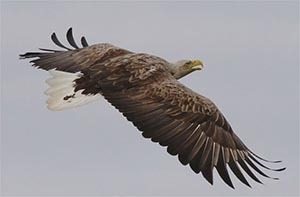 The island is home to hundreds of types of birds including the White-tailed Eagle, which when re-introduced in the nearby Island of Rum migrated to Mull, where it now has a stronghold, as well as several other birds of prey such as Hen Harriers, Golden Eagles and Short eared owl, which are all difficult to see elsewhere in the UK. Best of all, we have now been filming here for so long, we know where they all live. 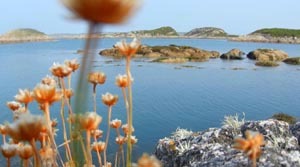 The island one of the primary locations in the UK for seeing some of Britain's more elusive wildlife species. I have personally seen Basking sharks and dolphins from the coast. 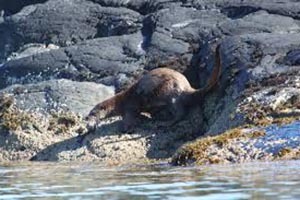 The island is also home to a large and thriving population of Otters that live in many coastal habitats, and can often be seen hunting during the day. Monday 2nd March to Friday 19th June 2020. During this time you will spend 8 weeks on location in Scotland filming. Please note that – Although this as an 16 week course, there is an 8 week ´Practical Section´ (Monday 30th March to Friday 22nd May 2020) of the course that you need to attend on the Isle of Mull in Scotland. Before the start of this practical section there are 4 weeks of pre-course study and paperwork; and then a further 4 weeks of study and paperwork, after the practical section of the course has finished. The closing date for this course is the Monday 31st January 2020. This course is booked on a ´First-come, First-served´ basis, so it is highly recommended that you book early to secure your place. You will not be able to book on this course after this date. 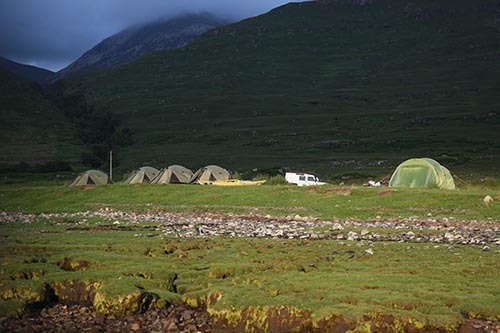 The entire 8 week long ´practical section´ of this course will be located on the Isle of Mull, operating out of various basecamps situated in different locations around the island. The course will consist of 8 weeks of filming, editing and producing a wildlife documentary film out on location. Each day will consist of filming out on location and working on a rough edit during the evening from the footage filmed. The last 10 days of the course will be a block session of editing, consisting of the final edit and prettification of your final film, in and around base camp. You will be tasked to complete a 45 minute broadcast standard wildlife documentary about the island, the wildlife found there and your time on the island filming. The final film can be presenter led or have an accompanying voiceover, as well as a selection of background music and additional text and graphics, as required. This course will have a maximum of 4 students working with a 4x4 Land Rover. This vehicle will have a wildlife guide/driver, with the students occupying the rest of the vehicle. The Land Rover will have three 4K cameras fitted plus an audio field recording boom kit; such as a DJI Osmo, a Phantom4 quadcopter (for filming 4K ariel footage) as well as some smaller 4k cameras fitted in prominent places to be able to film additional footage from both inside and outside the vehicle. During your course we will overnight in a tented basecamp. You do not need to have any experience to attend the course. However a basic understanding about how the principles of how a lens works, as well as shutter speeds and exposure will help you. We will take you through the whole process of production; from filming on location to writing a script in reference to what you have filmed, presenter or voiceover led productions, editing a ´rough edit´ of your film, adding voiceover and music (if required) and the undertaking a final edit with tasks such as colour correction, key-framing and time re-mapping. We will spend the whole of the first week instructing you in the use of both the cameras and the audio recording equipment on location; as well as other items of production/grip equipment. The last 10 days will be a dedicated editing session where you will produce the final ´polished´ copy of your film. Eight weeks on location will give you an unprecedented amount of time for you to learn and improve both your camera and production skills. • All of the UK Wildlife Film School courses are booked on a ´First-come, First-served´ basis, so it is highly recommended that you book early to secure your place. Please Note: Flights to the UK are not included in your course fees as our students fly in from many different destinations around the world. Your Diploma Course Certificate will be awarded by The UK Wildlife Film School. Invest in a “Diploma in Wildlife Documentary Film-making” and get one step ahead of your competition. This programme is managed, delivered and awarded by The UK Wildlife Film School and leads to an award on the Scottish Credit & Qualifications Framework. It has been credit rated by Edinburgh Napier University, but is not an Edinburgh Napier University course / award. The ´SCQF´ Logo is used with permission from Pauline Sutton, Scottish Credit and Qualification Framework. The ´EQF´ Logo is used with permission from Pauline Sutton, Scottish Credit and Qualification Framework.